Santa Monica is a beach-front city in Western Los Angeles, home to many Hollywood executives and movie stars. Santa Monica is a diverse mix of students, surfers, professionals, affluent family-friendly neighborhoods, and middle class renters. Santa Monica boasts a wide variety of recreational activities for people of all ages and interests. Dotted throughout its neighborhoods are 27 parks and recreational facilities that include the Santa Monica Swim Center, Miles Memorial Playhouse, and the Annenberg Community Beach House. Popular for surfers, tourists, and local beach combers, the Santa Monica State Beach is a great place to hang out all year-round. 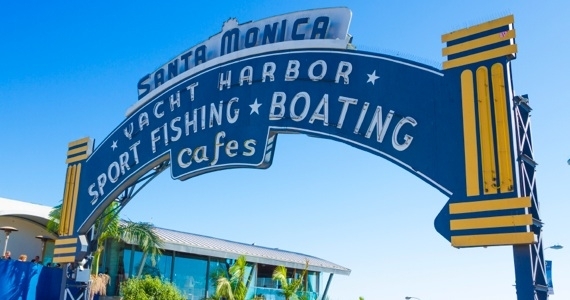 The suburb of Santa Monica is constantly growing as students, professionals, and families move into the area attracted by the great schools, beautiful climate, and the short commute to Los Angeles. 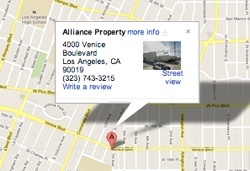 If you're a rental home owner, or property investor, with a property in Santa Monica, consider Alliance Property Management for your property management needs. With 12 years of experience in managing properties in Greater Los Angeles, Alliance knows the market, the area, and its residents. Alliance Property Management has combined some of the best experts in the industry with over 40 years experience, collectively. Alliance can assist you with all of your rental tasks from putting your property on the market and placing a qualified tenant to the tedious day-to-day affairs such as rent collection, handling tenant complaints, and even maintenance. Isn't it time you let someone else do the work so you can enjoy life?